Every week we get together with our friends for Life Group on Wednesday nights. 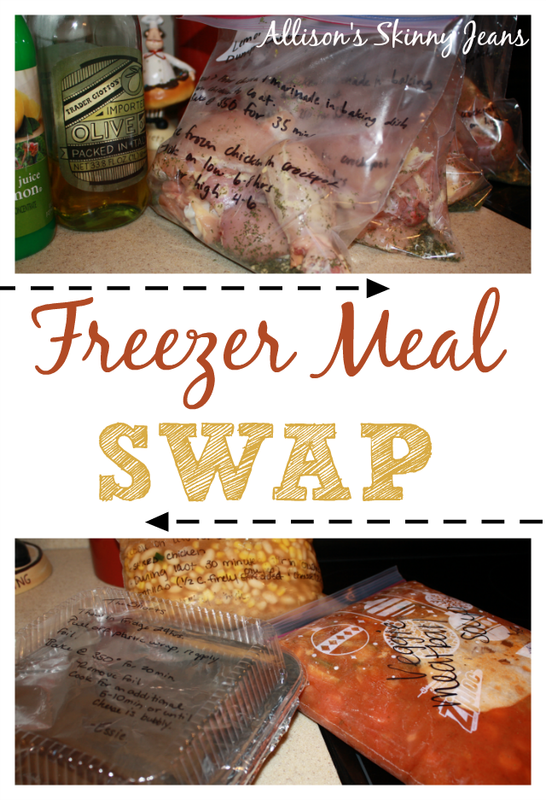 This past Wednesday, my friend Amy had a new idea -- she wanted to try doing a freezer meal swap! Everyone was on board. Each of the girls chose 1 healthy meal to make and freeze, then brought it to exchange on Wednesday. I found a recipe for Lemon Garlic Dump Chicken! I wanted to pick something easy since I would need to make 4 of them (1 for myself and 3 others to trade). I used chicken thighs and drumsticks - there weren't any good deals on chicken breasts. I labeled all the bags with the instructions. I added the dry ingredients first, then the chicken, olive oil, and lemon juice. I made sure to mix the chicken around in the bag really well, and then I laid them flat to freeze. Now I have 4 meals in the freezer ready for those days that I just don't feel like cooking! This is a great way to branch out and try new recipes. So how do you organize a Freezer Meal Swap? 1. Organize your group. Find friends that are willing to participate. Keep the group to a size you feel you can manage - keep in mind you will have to prepare that many meals! We have a secret Facebook group that helped us be able to hash out the details. 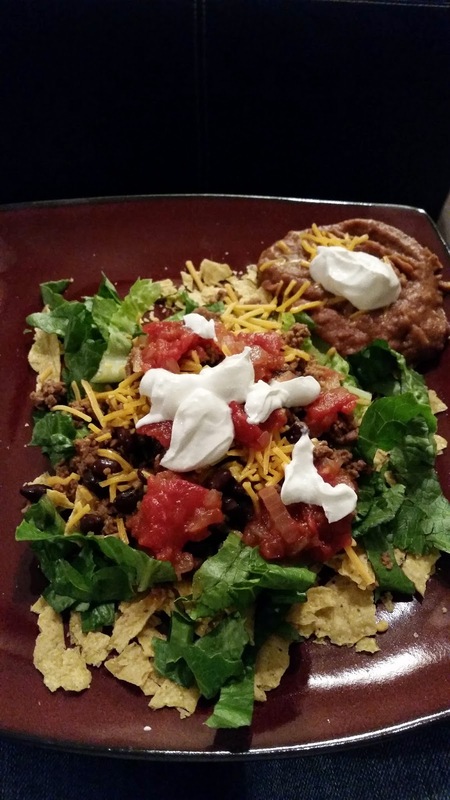 We also posted our recipes in the group for all to see. When / where will you meet? How many meals will everyone bring? How often will you exchange? How many servings will each meal need? 2. Pick your meals! Make sure you check for food allergies or any dietary needs. We all agreed that the meals we made had to be healthy. Our friends were also kind enough to make sure our portion wasn't too spicy. When you are picking what to make - keep in mind how many ingredients you will have to buy and how complicated it will be to put together multiples of the recipe. 3. Prepare your meals. Buying your ingredients in bulk can help you save money! The price of chicken breasts was too much - so I made a swap for thighs & drumsticks. Freeze your meals in the appropriate containers - aluminum or freezer bags. Don't forget to include the cooking instructions! 4. 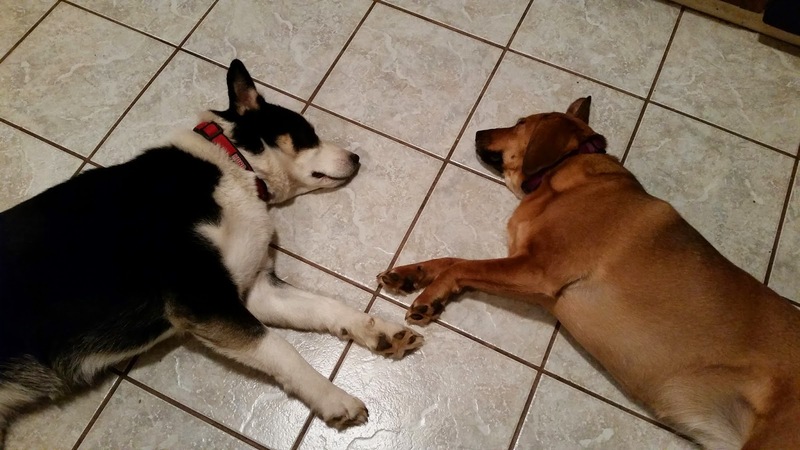 SWAP! Make sure that the house you are swapping at has a freezer, or that everyone brings a cooler. You bring 4 meals and you go home with 4 meals. We had Life Group on swap night - you may want to plan a fun activity! 5. Go home and ENJOY! Now you have some already prepared meals to try.